Faculty of agriculture is one of the oldest two faculties of the Ege University which has been founded on the basis of the Law No 6595 that has been adopted by the Turkish Parliament on May 20, 1955 and published in the Official Journal No 11940, dated May 27, 1955. Faculty of agriculture which started its educational activities on November 1955 in the building of Bornova School of Agriculture has moved to its own, present building and facilities in 1969. 17 professional chairs have been set up in the faculty of agriculture on the basis of the Decision No. 3 of the senate of Ege University adopted on May 20, 1958. Professional chair system has been replaced by the department system in accordance with the article 37 of the Law No 1750 and the present structure, which is made up of major fields, has been formed pursuant to the regulation on the academic organization that has been drafted pursuant to the Higher Education Law No. 2547 and has become effective on February 18, 1982. Faculty of agriculture which comprises 10 departments (Horticulture, Plant Protection, Landscape Architecture, Dairy Technology, Agricultural Economics, Agricultural Machinery, Farm Structures and Irrigation, Field Crops, Soil Science and Plant Nutritionand Animal Science) has set as its objective to modernize the agriculture of the country and the region, ensure solutions for problems by means of scientific approaches, educate agricultural engineers and landscape architects who have practical and technical knowledge, make research studies, produce and extension of technology and service in all agricultural branches. Within this framework, the faculty is engaged in the high-level activities like education & teaching, research, extension and services in all branches of agriculture. The faculty is involved in a wide range of activities like the protection and improvement of soil, water, plant and animal sources and using them economically as well as studies of landscape architecture and the realization of agricultural production in different ecological environments. 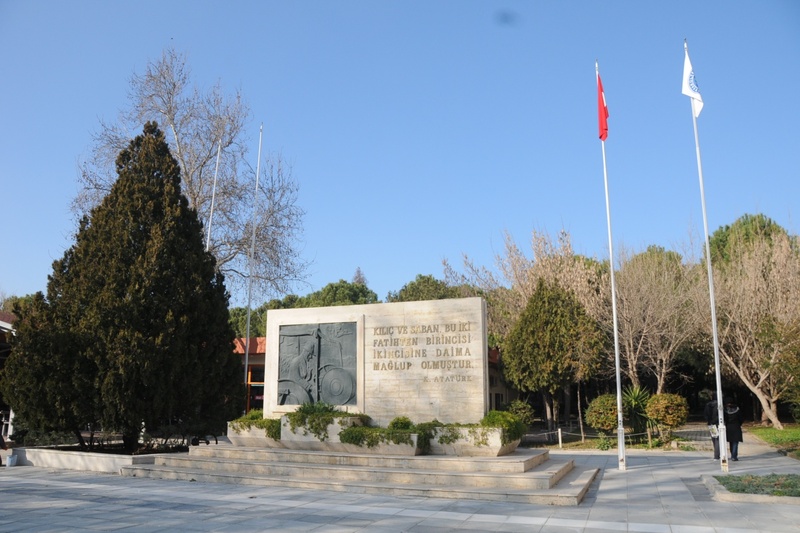 URAP (University Ranking by Academic Performance) which is an entity subordinated to METU (Middle East Technical University) Informatic Institute has ranked the universities in the world by their branches of science for the first time this year.